Hey guys, how are you doing? Hope you are all enjoying spring, blooming trees & warm weather! This time I'm here with a collaboration with New Yorker and a bunch of denim pieces. 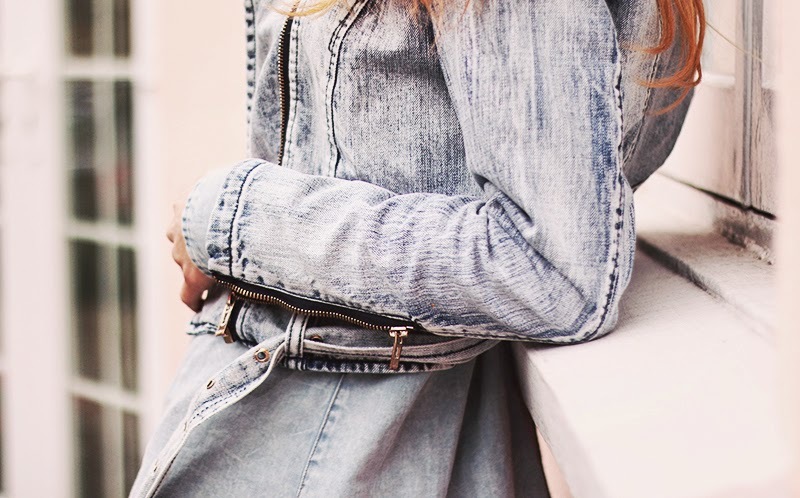 Honestly, I'm not a big fan of layering the same fabric, however I think this total denim look was perfect for a relaxing Sunday at the park or having a brunch with your friends in a cozy cafe. Also, as you may have noticed, spring is all over my social media. I can't stop loving all those flowers, blooming trees, people chilling at the parks...No doubt London is much more pleasant and beautiful in spring! Nerealiai gražiai atrodai ir nerealiai gražios foto!